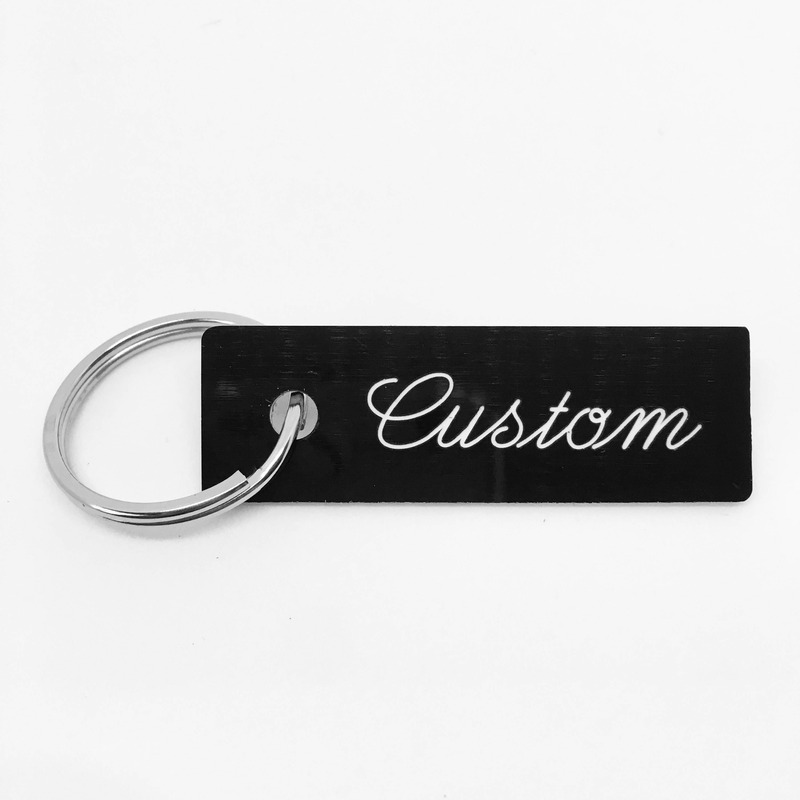 Custom engraved keychain. Key tags are 2 1/4 inch by 3/4 inch. Please send word/phrase/name you would like on the keychain in the comments when purchasing. If you do not, or if there are any questions, I will contact you as soon as I can. If you are unsure of what you would like to have on a keychain will fit, please contact me before placing the order and we can see if we can work with your vision. Each keytag is custom engraved using a rotary engraver. I am unable to add images. Character allowance is 12, including spaces. Any more characters and the text starts to get smaller and smaller and harder to fit. 4 to 6 characters look the best. Two fonts available. Cursive and simple sans serif. Cursive is the only one that has lower case letters. 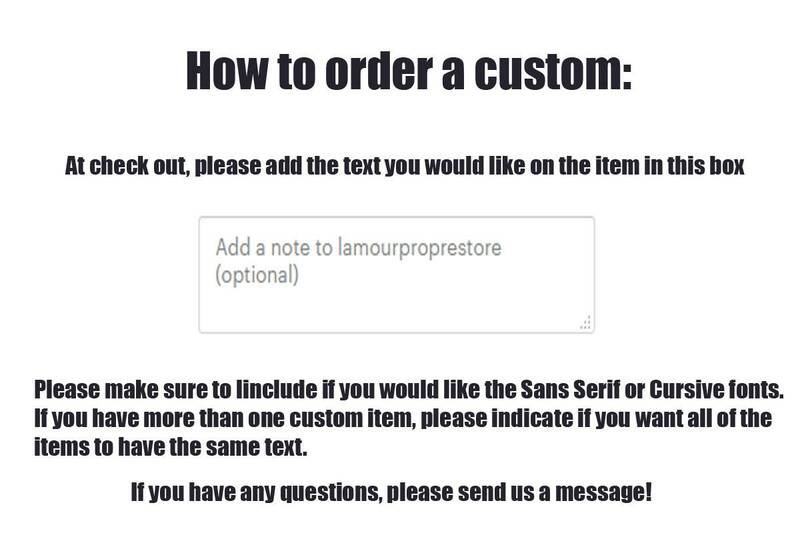 You can see a sample of the fonts in the last image. All keychains are black and white.